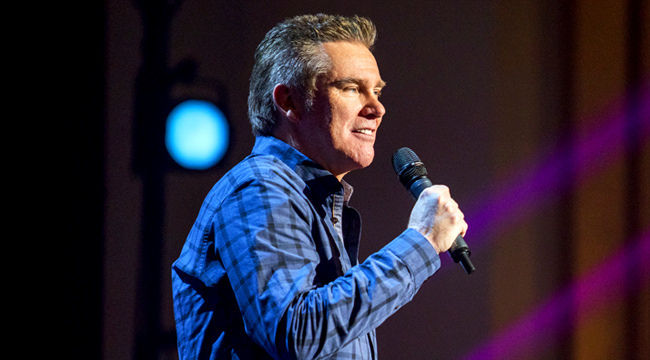 In an interview with the Pensacola Press, Brian Regan told a reporter he has reached a big career milestone. After 30 years in the business he’s a million mile man on Delta. Regan is currently on a pretty much never-ending tour, and is working on material for his second Netflix special. His first Netflix Original, “Flamethrowers and Nunchucks” is available on Netflix now. The post Brian Regan, World Traveler, Hits Million Mile Status appeared first on The Interrobang.